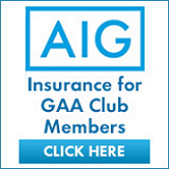 Looking to Join an ever growing GAA family!!!! Don't forget the Road Safety meeting is on TONIGHT! Looking to order some Club Gear for the year ahead? Clann Mhuire Lip Sync Takes Place on Sunday 6th of May. To participate contact a committee member today or email proclannmhuire@gmail.com. Our Men's team will be doing car washes every saturday from now until Christmas from 9.30am-12.30pm in Club Grounds.